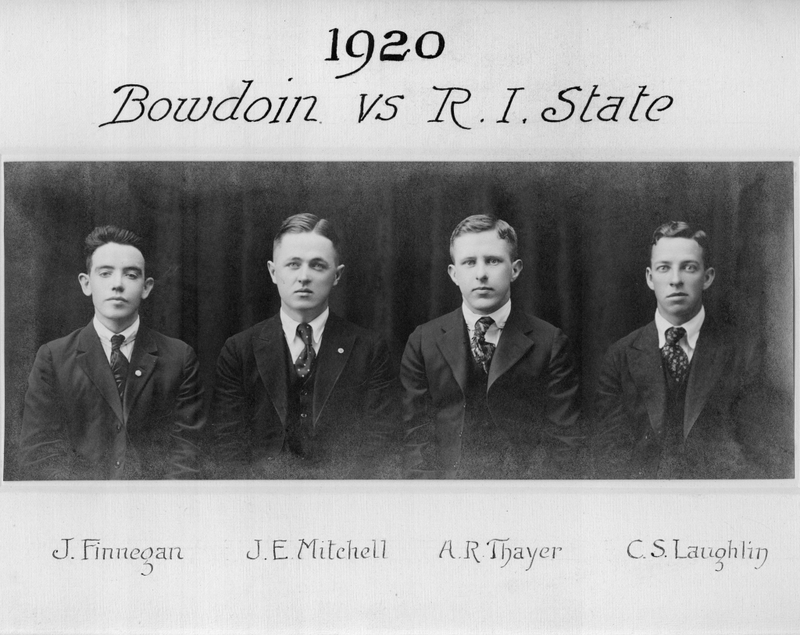 Portrait of a Bowdoin College debating team of 1920. Left to right: J.Finnegan; J.E. Mitchell; A.R. Thayer; C.S. Laughlin.